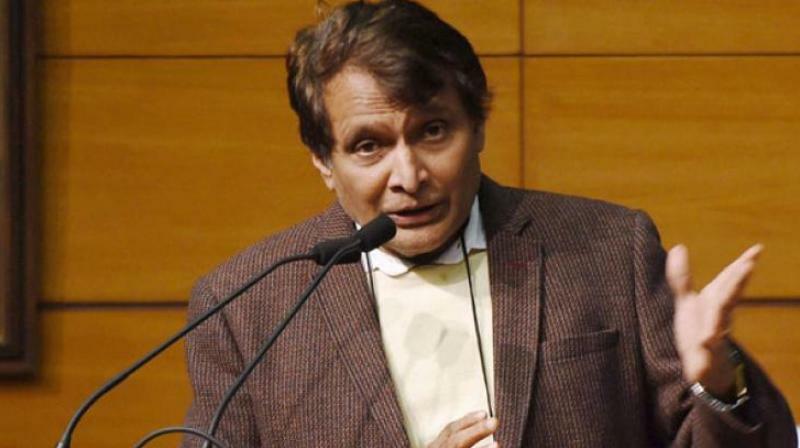 NewDelhi: Union Minister of Commerce & Industry and Civil Aviation, Suresh Prabhu said that the Government of India is preparing agro specific zones under the new Agriculture Export Policy which will be unveiled soon.He was speaking at the inauguration of BIOFACH INDIA which is the world’s largest event on organic industry organized by Agricultural and Processed Food Products Export Development Authority (APEDA) and Indo-German of Commerce in New Delhi today. India is bestowed with the potential to produce all varieties of organic produce due to the country’s varied agro-climatic regions. India also has the added advantage of inheriting a tradition of organic farming. It is a great advantage for organic producers to tap the market which is growing steadily in both domestic and export markets. India ranks first in terms of total number of organic producers and 9th in terms of worlds organic agricultural land. The Government of India has implemented the National Programme for Organic Production (NPOP) which is organised by the European Commission and United States Department of Agriculture (USDA). Due to these certifications, India’s organic products are accepted by importing countries. In 2017-18 India produced around 1.70 MT of certified organic products which includes all varieties of food products like oilseeds, sugarcane, cereals and millets, cotton, pulses, medicinal plants, tea, fruits, spices, dry fruits, vegetables and coffee. Total volume of organic exports during 2017-18 was 4.58 lakh MT and brought in USD 515.44 million. India’s organic products are exported to USA, EU, Canada, Switzerland, Australia, Israel, South Korea, Vietnam, New Zealand and Japan.